As I have travelled through Australia and Asia I have come across many inspiring artworks, statues, monuments, sculptures and every once in a while I have had the pleasure of stumbling upon and becoming exposed to artists, that if it wasn’t for the likes of the internet and magazines I would probably never have heard of. So I would like to share with you on this blog post an extremely talented and highly admired artist whose story of late is not only compelling but brave, respected and in my humble opinion highly commendable. The name of this artist is Ben Quilty and his latest line of artworks have been inspired by his time in Afghanistan standing shoulder to shoulder with his countrymen serving as an official war artist in the current relentless war out in the Middle East. After achieving recognition in Australia by winning the Archibald Prize for his portrait of Margaret Olley Quilty was informed by art officials (The Australian War Memorial) that he has three days to decide whether he thought he had what it takes to become a war artist willing to witness the string of emotions and atrocities uncoiled by his countrymen out in Afghanistan. I grabbed it were the words of Ben Quilty as he talked about the honourable opportunity which was presented to him. He also stated it would be a life-altering experience. For an artist who takes his work seriously, that’s what you seek. You would not believe these comments if you realised that 20 years prior to this opportunity Quilty was, in fact, paranoid about the prospect of being conscripted in the war like Vietnam. At 18 years old this thought alone horrified Ben and his fear of being drafted as a soldier was a very real possibility and an extremely terrifying prospect. One day whilst in Afghanistan Quilty watched an unnerving game of hockey between Canadian troops on a central sports field surrounded, itself surrounded by all the usual suspects like KFC, McDonald’s and Burger King. While strolling around with his backpack loaded with paints, paintbrushes, sketchbooks and pencils he conversed with American soldiers armed with a slightly different set of tools like shoulder slung assault rifles as they tucked into their fast food delights. Quilty mentioned the slogans plastered on T-shirts found in the nearby stalls chanting Afghan Fighter and I’m Doing This For My God apparently very popular among American troops. Gyms offering spin classes and Afghan rug stalls are another couple of examples of what you might also find surrounding this central field to keep the soldiers’ minds occupied enough to take the edge off the fact that there was a very real war going on just outside the compound. Although there is entertainment Quilty says 24/7 you’re on alert to take cover when enemy rockets land inside the base or a fanatic suicide bomber breaches the walls. With his own interpretation as an artist, Quilty dealt with this strange scenario in his own way to ease the comfort, and states, the war against the Taliban relentlessly continues, and to me, it seemed like some macabre contemporary dance. INTERLUDE: Good Morning. Sydney Morning Herald 2011 was a fantastic year for Ben Quilty. Already the art worlds heavily courted wonder boy after winning the 2002 Brett Whiteley Travelling Art Scholarship, then the 2009 Doug Moran National Portrait Prize with his portrait of rock singer Jimmy Barnes, he was anointed Australias most promising painter by art elder John Olsen. And then there were the Archibald Prize accolades and a sell-out exhibition at the Korean International Art Fair. Quilty is an interesting mix: a tall, strong, blokey artist who outgrew his wild teenage years as a member of a gang who referred to themselves as the Maggots to gain two university degrees, including a unit in women’s studies and an extra course in Aboriginal studies. Now 38, a passionately thoughtful man, hes also fit and resourceful enough to keep up with the soldiers in the field. We’ve been watching Quiltys’ work mature greatly over seven years, since his early Torana paintings, and he was top of our wish list when the Australian Defence Force offered a war-artist posting to Afghanistan, explains Laura Webster, Australian War Memorial curator of art. That aggressively masculine Torana series, like much of Quiltys’ earlier work, delved into the rights of passage of young men. Specifically, during the perilous decade from 16 to 26 when he and his Maggot gangmates flirted with death by driving hotted up Toranas and wiping themselves out on alcohol, drugs, debauchery. Quilty would photograph his mates, and himself, totally inebriated, then later make luscious paintings of the collapsed faces. He’s gone on to look more broadly at Australian identity and history. Webster adds, Afghanistan is a highly confronting war zone, and we considered Ben feel an affinity with the young men and women of the ADF, understand their concerns and interests, and paint something meaningful about the Australian war experience. A selection of Ben Quiltys’ Afghanistan paintings will be added to the Australian War Memorial permanent collection, to join the long tradition of war artists that began in World War 1 with Arthur Streeton, George Lambert and Frederick McCubbin. This video is an oil painting demonstration revealing to you how you can paint a puppy dog in oil paints whilst working from a photograph. This art tutorial is aimed at the beginner artist who wishes to know more about oil paint and traditional art and the format of the video makes this easy to understand with a mixture of time lapsed sections and real time art techniques in the field of oil painting. The artist begins by explaining how you must not get into bad habits when you begin oil painting for the first time and has provided you with a list of good habits to adopt prior to your oil painting. These are: Treating the surface, preparing the paint, the proper use of brushes and thinners, how to paint what you see (strategy), the process of �sculpting� a painting and the process of glazing. He begins by demonstrating how to treat the surface of your canvas by applying gesso which acts as a protective layer which will prevent the oil paints from being over absorbed. There are a few sayings which artists use when they are describing how to use either gesso or the actual oil paints which describes the ideal consistency which you should mix up and apply whilst painting. �Like butter� is used as a term which translates to the consistency of the oil paint as not having enough thinners or mineral spirits, whereas �like milk� is the opposite and means you have applied too much mineral spirits to the paint oil paint mix leaving a very watery consistency. You are looking for a happy balance which falls between these two consistencies and with practice this becomes second nature. To make the oil paints creamy in texture and consistency you will need to add 3 to 4 drops of paint thinner using a palette knife on your palette (usually made from acrylic plastic or glass). Oil painters use mineral spirits as well as for mixing the paints to clean out their artist brushes and their palettes after they have finished painting. A handy tip to remember when cleaning your brushes is to �wipe, dip, wipe�. The final wipe takes off the remainder of the mineral spirits and is particularly important for you to not further thin down your nice consistent pre mixed oil paints. The artist refers to his strategy for painting in oils as the �jigsaw puzzle strategy�. It is called this because when you are painting from an image you can pick shapes from it and paint them down much like a jigsaw puzzle. This takes away the laborious element of oil painting which some artists find and instead adds an element of fun to the painting. When you paint and visualise the shapes and manipulate the paintbrush to fit them accordingly laying down your oil paint confidently and deliberately. You will soon form a recognisable image with your paints. The artist also says of the importance of looking at your reference picture once every 5 seconds in this initial stage of painting in oils. Work by paintinjg the bigger shapes first working your way down to the smaller shapes and if you find you cant work your paint anymore on the canvas then simply allow it to dry and reapply with fresh oil paint. Oil paints are opaque so when you have allowed them to dry it is easy to re render and rectify your initial mistakes should you have made any. It is important to take your time on this step as it serves as a foundation for the finer detailing later on. In the next stage of the oil painting you are looking to add your finer details with the paint brush and create textures by working very closely with your reference material. If you feel the consistency of your paint is not working quite right then you can easily add some more turpenoid to thin down the paint or alternatively add more oil paint to the mix to bring it back to a more natural oil paint consistency. The oil painting of the puppy dog took the artist about 1 hour in one sitting. The artist describes whilst painting the puppy that painting is somewhere between drawing and sculpture and so with the use of opaque oil paints you can easily put down your paint brushes and come back to it the following day. This is also useful if you are taking on multiple paintings at once like most oil painters will do to save on any downtime. Throughout this part of the painting tutorial you see the artist using a variety of paint brushes to add a variety of strokes and textures to the different areas of the puppy. He uses highlights and tones to bring the puppy�s more prominent features out and is making sure he checks his reference photo every 5 seconds like he discussed previously. This is part of a series of videos he uses to teach oil painting to beginners and the novice painter and I will be downloading the other videos and attaching them to this one to form a playlist. In the other videos he discusses further mediums to use with the oil paints to improve their qualities and also shows the aspiring oils artist how to use the glazing medium to its true potential and help further preserve their paintings. There are few areas which aren�t covered in this art tutorial so as an educational tool for learning how to oil paint I would highly recommend the viewing of this video. Remember, don�t rush your art work and bare in mind that the most important thing in art is to lay your foundations correctly so you have a solid platform to take your painting right through to the end with ease, confidence and enjoyment. Oil painting can and most likely will take a long time to master and as time goes on you will learn new and interesting painting techniques to create art work you never would have imagined possible. 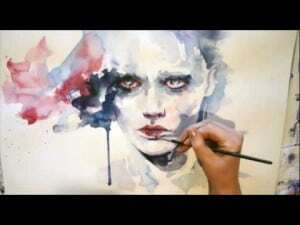 You can find the artist who has presented this video at www.merrillk.com to further your skills in oil painting. 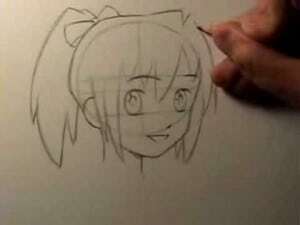 How useful was this art tutorial? Feel free to leave your artistic critique at the bottom in the comments box.